Let’s face it, power failures do happen… and usually at the most inappropriate time. Like just after you stock your refrigerator with perishable foods. Or, during the 4th quarter of the super bowl. Suddenly everything stops and you have absolutely no idea how long you’ll be in the dark without home generator. A home generator can help get you through the agony of a power failure. Fortunately, there is a wide variety of types and styles to fit most budgets. Sometimes referred to as gensets, residential generators come in two main types: standby and portable. 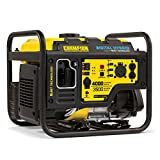 A portable generator is typically for temporary emergency power and uses extension cords or a cable plugged into a manual switch. 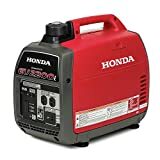 This type is usually less expensive, but most models require frequent refueling.Home standby generators are hard wired to the electrical system using a transfer switch. This is permanently connected to an external fuel source such as natural gas or liquid propane (LPG). The features and benefits of each type of home generator can be found on separate pages of this site. 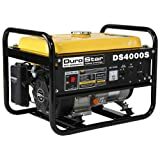 However, it is fair to say that the home standby generator is more convenient in that it automatically kicks in at the onset of a power outage, whereas the portable units require setup and maintenance for each occurrence. For instance, portable systems must be wheeled into place outside your home… started up… and then hooked up to a power inlet box. Then, at the generator transfer switch panel, you direct the power coming into your house from the main line to the generator running outside. Once your utility power has been restored you must then reverse the process and restore the generator. Permanently connected standby systems offer power levels that are higher than portables. And although they are also more expensive – and require professional installation – they tend to increase the value of your home. The Generac OHVI engine home generator systems are highly rated and typically provide the lowest cost per kilowatt hour for your backup power needs. Picking a generator that is right for you will depend on your objective during a blackout. If you want to keep everything in your home functioning (to include your air conditioner or heat pump) you need to focus on the most efficient home standby system. 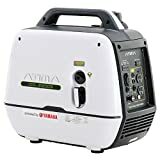 On the other hand, if you only want to keep the frig from a major meltdown… or perhaps you just want to keep some of the lights glowing about the home… then check out the vast array of lower priced portable generators. Depending on the design, your portable genset’s engine can run on gasoline, diesel, propane or natural gas. Most small models use gasoline from an onboard tank. One potential disadvantage is that when a major power outage occurs it might prove troublesome to find adequate gasoline from your neighborhood pump station. Portable diesel generators are more efficient and less noisy, but typically more expensive. Diesel is the least flammable fuel source and has longer shelf life than gasoline, but it too might be scarce or unavailable during an outage. Propane can be easily stored in large tanks and has almost an unlimited shelf life. What’s more, natural gas is the most widely available fueling source during extended power blackouts. Multi-fuel devices provide options when one type of fuel isn’t available. If you decide to purchase a home standby generator system make sure you get professional help for the installation. In fact, even when buying a portable generator it’s highly advisable to seek advice from someone who has lots of experience handling transfer switch hookups. Finally, all things equal it appears that a permanently installed standby generator is the safer way to provide backup power to your home than a portable generator. With an automatic standby generator properly installed your home is protected from potential deadly carbon monoxide poisoning. Standby systems start automatically within seconds of an outage and eliminate the need to drag out a portable unit from storage and run extension cords throughout your home. Also, they provide protection around the clock whether you are home or away. And when your utility power returns the standby generator will automatically turn itself off.